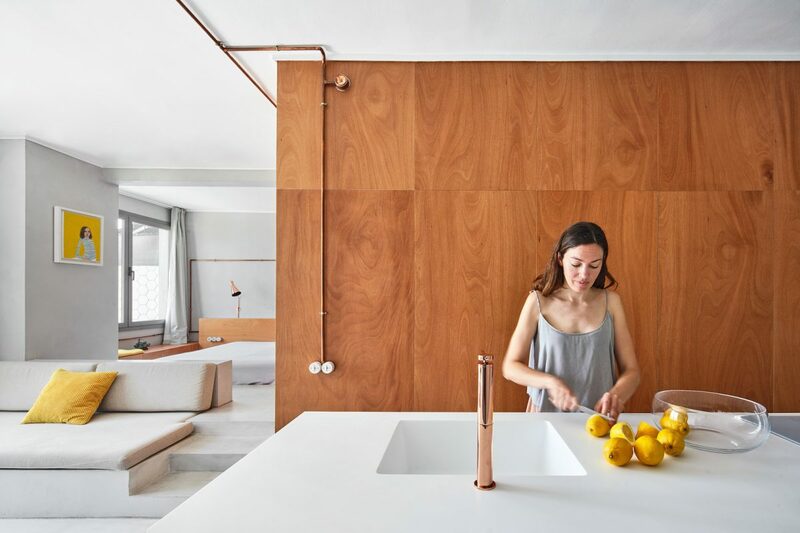 Situated near Barcelona’s Olympic Marina, this apartment pays direct tribute to its seaport context. 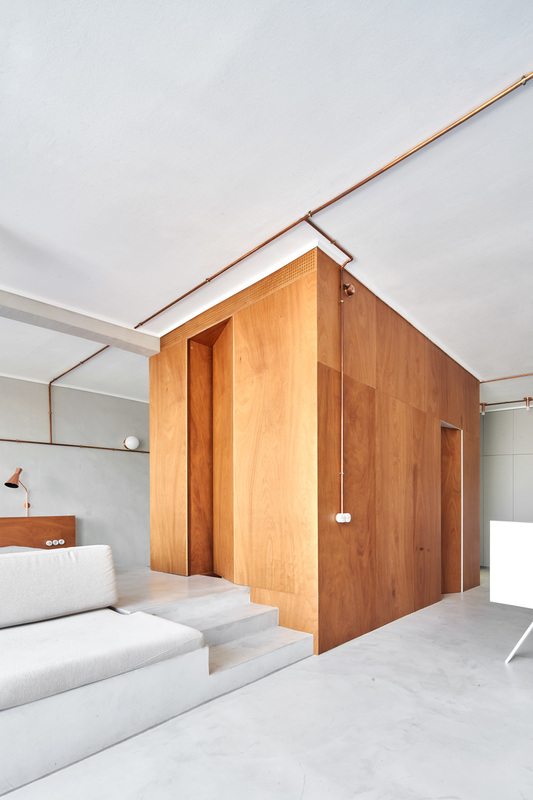 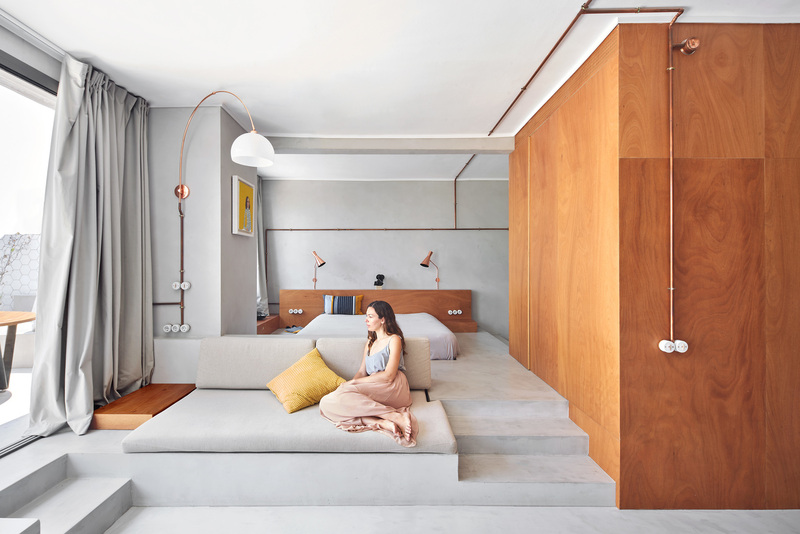 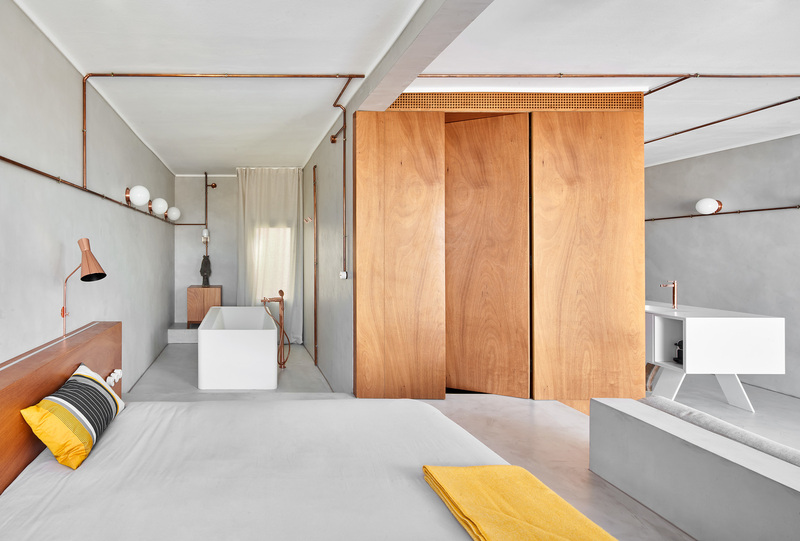 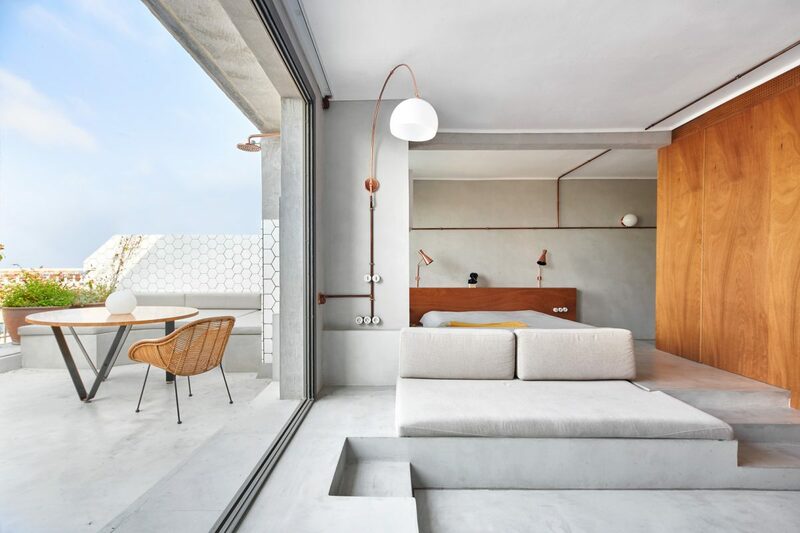 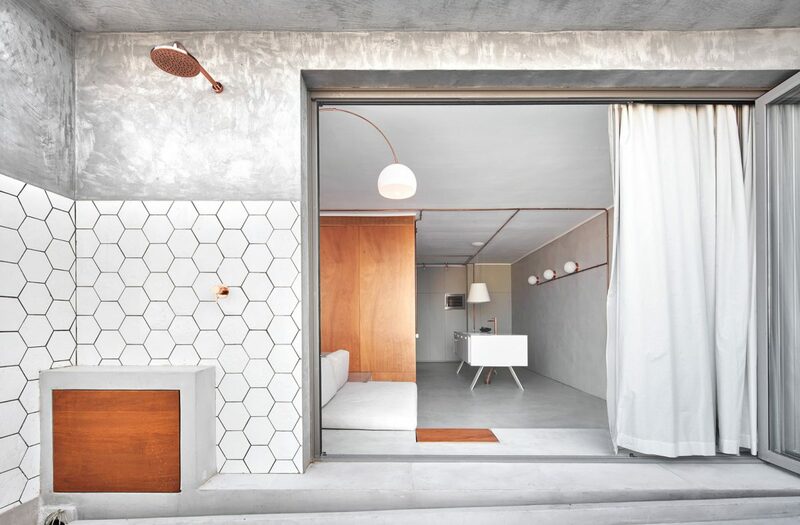 Cometa architects reconfigure this 56 sqm apartment by knocking down all interior walls and opening up the frontal exterior wall in order to achieve uninterrupted space and views, creating an architectural journey where one would need just the essential. 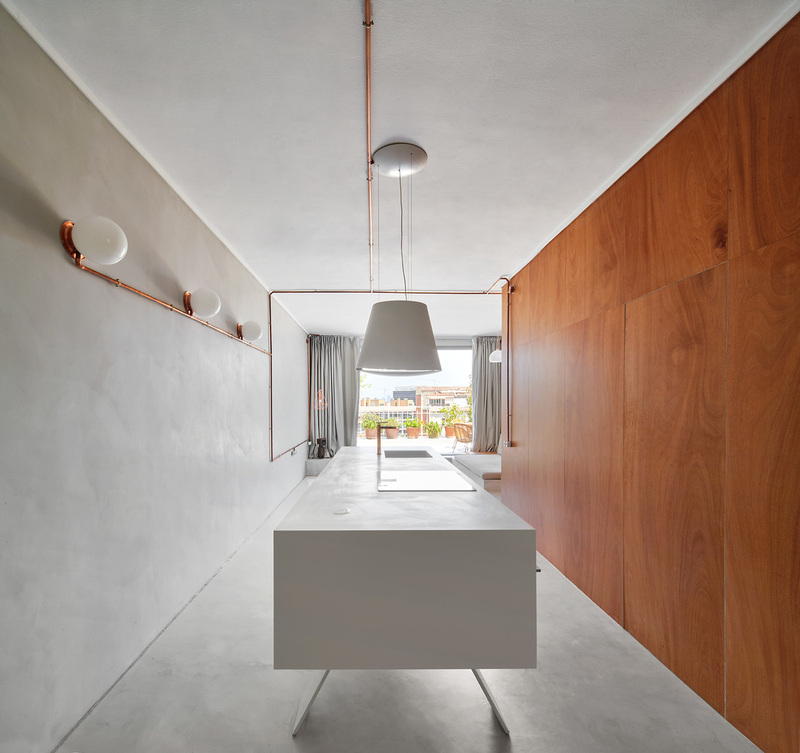 The vessel-looking concrete interior is treated with light grey microcement, drawing inspiration from the raw concrete docks that can be seen nearby. 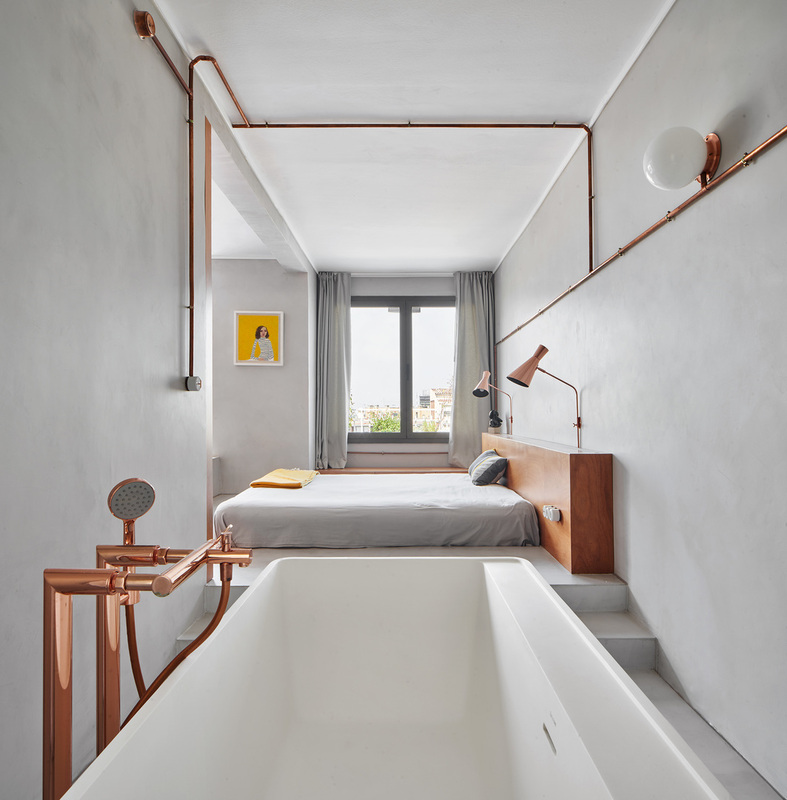 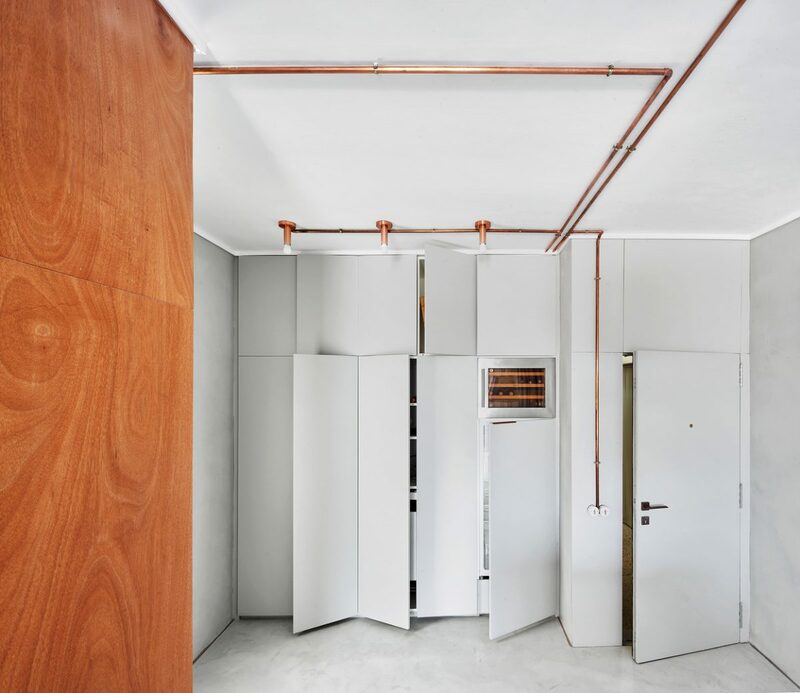 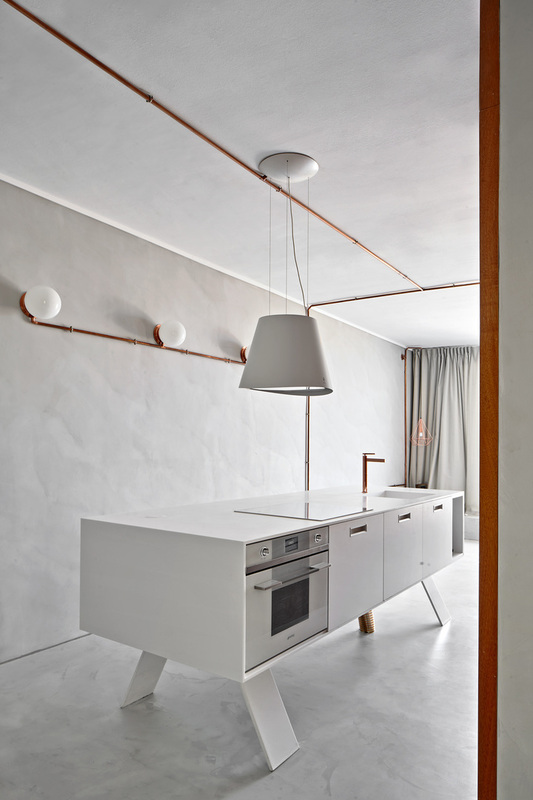 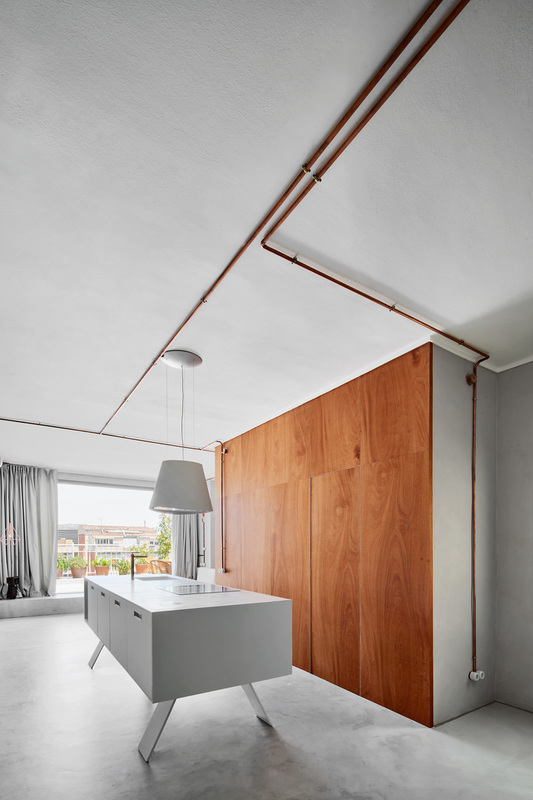 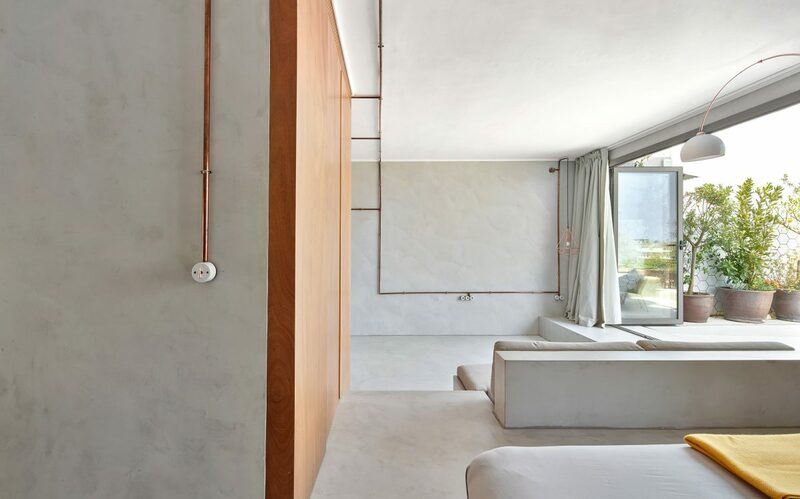 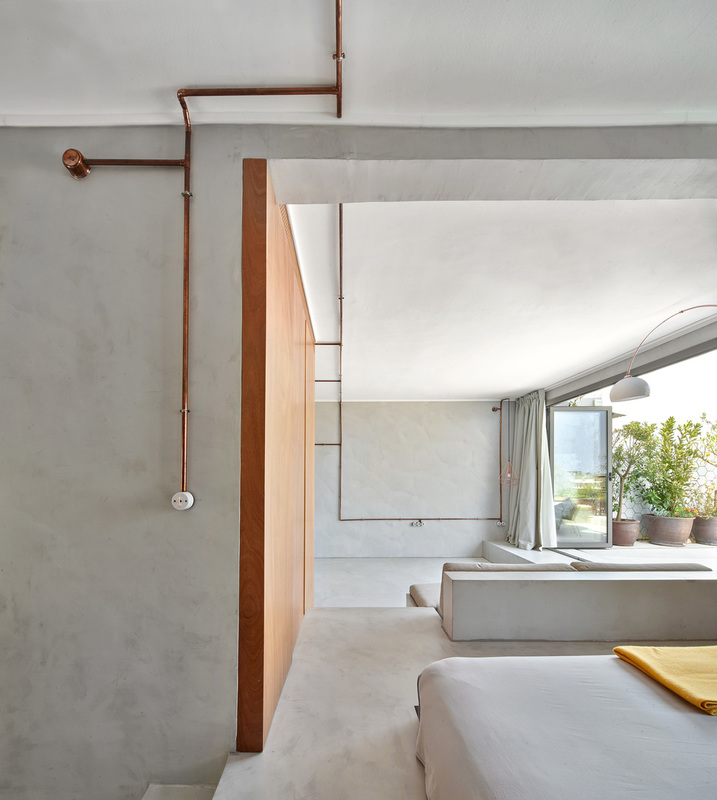 The exposed installations, precisely composed by marine copper piping, fittings and light fixtures, are stretching over the solid surfaces, offering a warm radiance, perhaps the only decorative element of the apartment, while methodically correspond to the specific uses.